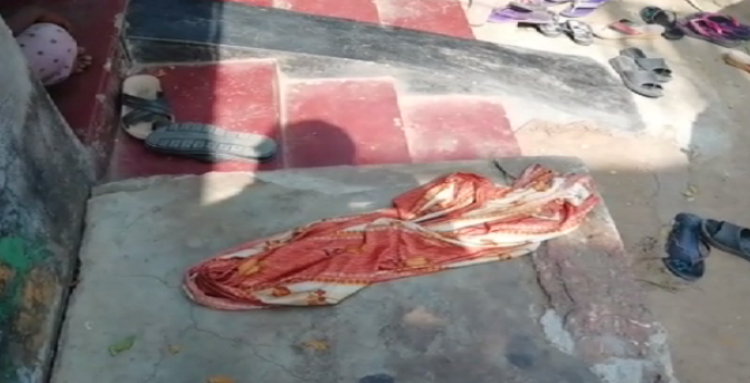 Cuttack: A woman’s body was found under mysterious circumstances at Karuala village under Tangi police limits of the district this morning. The deceased has been identified as Sabita Swain. According to reports, Sabita had married to Banshidhar Swain’s younger son Sailamani Swain 10 years ago and had two children- a son and a daughter. The couple had a fight last night due to some personal reasons following which they slept separately. While Sabita slept in the room, Sailamani slept outside the house. In the morning, when Sabita did not open the door her family members entered the room by breaking the door and found her body hanging from the ceiling fan with a cloth. They informed about the matter to Tangi police. As soon as the police got the information they reached the spot and sent the body to SCB Medical College and Hospital for the autopsy. While the exact reason behind Sabita’s death is yet to be known, Tangi police station in-charge Bimal Kumar Barik said whether it is a murder or a suicide will be known when the post-mortem report is out. Meanwhile, an investigation into the matter has been initiated by the cops.